Gratitude is a powerful mindset of abundance that unlocks the fullness of life. It acts as a lens through which to view the world – not by what we don’t have – but what we already do. In a time when consumer culture demands our constant attention to buy, click, and share, parents and teachers can play a vital role in helping children learn the skills necessary for lifelong appreciation. As Dr. Maria Montessori once noted, “We cannot create observers by simply saying ‘observe’. We must give them the power and means for observation, which is procured through education of the senses.” Based on this philosophy of active learning, our classrooms include a variety of sensory rituals, including hands-on work, roleplays, and spaces for self-reflection. The Montessori method defines gratitude as an active appreciation for the everyday elements that nourish the whole child — including their growing bodies, minds, and spirits. Beyond the obvious benefits that gratitude offers young minds, emerging neuroscience is beginning to prove just how effective daily gratitude can be for all ages. Improved physical and psychological health, better sleep, higher self-esteem, and even longer lifespans are beginning to reveal the tangible benefits behind this powerful perspective. By planting the seeds of gratitude today, we cultivate the kind of appreciation and awareness that fortifies each child’s mental, physical, and spiritual journey for life. What are some ways that we, as adults, can encode gratitude into the fiber of our children’s daily lives? To be effective, we must challenge ourselves – as parents, educators, and adults – to focus on indirectly presenting gratitude so that our words align with our actions. As models, we need to show, rather than tell, what gratitude looks like throughout the day, at the dinner table, through small acts of kindness, or in our own private journaling. To demonstrate what a daily habit of gratitude looks like at Chesapeake Montessori School, we focus on exercises in Grace and Courtesy, which reflect Montessori as a method of “peace education”. Roleplays help students understand how to use “please” and “thank you”, offer help to a friend in need, and use manners at the right time and place. Repeated often, these simple scenarios encourage children to exercise grace, courtesy, and gratitude when the time is right outside the classroom. Parents ask me all the time how to apply what children learn in the classroom to home life. My answer is simple: try not to rush evening routines. If modeling is how children absorb indirect messages about mindfulness, then our actions speak louder than words when it comes to hurrying the habits and rituals that make up our daily lives. Evening “wind down” rituals, such as cleaning up after dinner, sharing bedtime stories, getting into pajamas, or taking care of personal hygiene are all excellent ways to practice the habit of slowing down together. 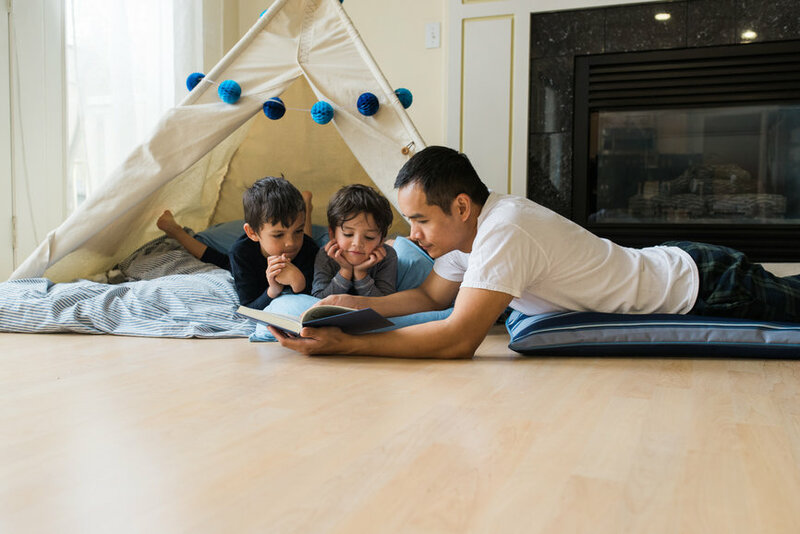 It’s in the slowing down of our evenings – the softened body language, the mellow pace, the mindful movements – that children are able to understand that they indeed have time to practice gratitude everyday. Most importantly, slowing down shows, rather than tells, children that we value them, hear them, and respect them. As Dr. David Elkind explains in The Hurried Child, the ability to let the mind wander without the rigidity of a schedule or the overstimulation of technology allows for the ability to be truly present, to take stock of the day’s gifts, and to recharge the physical and emotional batteries for the next day ahead. To help our students slow down and plant the seeds of gratitude, we’ve begun integrating some very powerful practices into our classrooms. 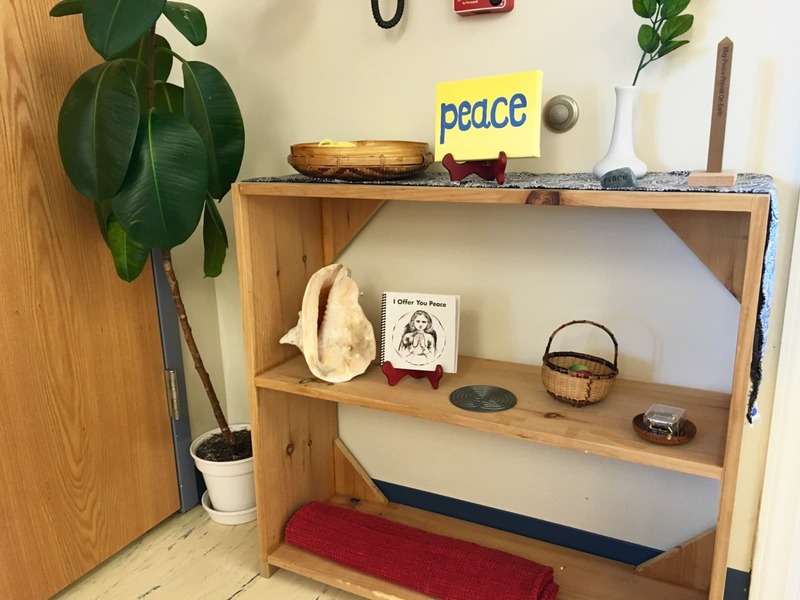 Our Peace Shelf is one such example, a warm and inviting place where children can go to check in with themselves, count their blessings, and monitor their changing emotional states throughout the day. With a comfortable rug to sit on, a zen garden to touch and feel, and a quiet puzzle where free thinking is welcomed, children understand that having a place to ponder is crucial to the kind of contemplation that comes with gratitude. Dr. Seuss has been a recent companion of ours in the lower elementary classes, specifically The Sneetches. A small book with a big takeaway, this timeless story exposes children to the topics of empathy, gratitude, and compassion early on. The moral of The Sneetches’ also ties into the work we do in our Chesapeake community, whether it be collecting coats in our annual Coat Drive, collecting canned food on our weekly Pajama Day, or volunteering at any number of charities and nonprofits in the area. Most importantly, our teachers play a crucial role in helping students cultivate gratitude in the Children’s House and Elementary levels. “Cosmic education”, a Montessori approach to instruction, helps children place themselves in the context of both time and place. This method of teaching guides young learners as they understand what came before them in history, while also holding space for what’s to come ahead of them in the future. The results of this teaching style are profound, as children find awe in the small yet extraordinary events that have unfolded throughout history, science, and geography. Such a mindfulness and appreciation for the richness and tapestry of life helps students place themselves in context of time, and find a humbled appreciation for themselves in the world around them – whether it be a bacteria, a modern invention, or the vast ocean. As 2016 unfolds, let’s commit to showing our students what gratitude looks and feels like in the day-to-day. 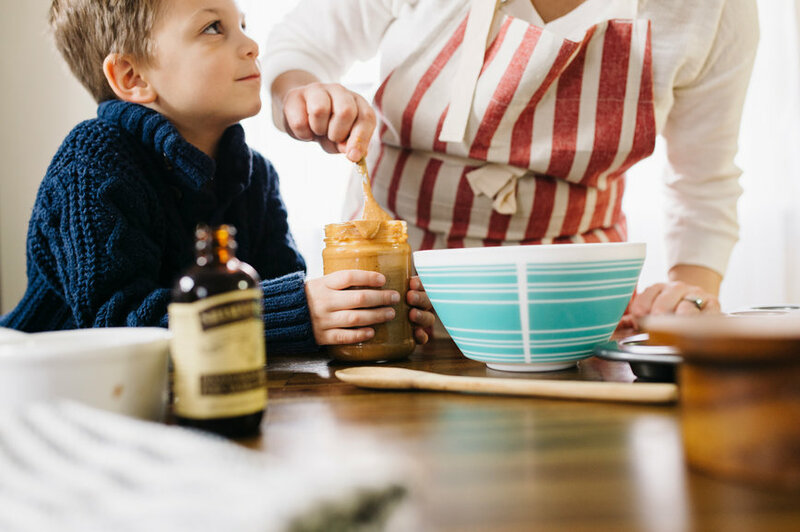 By playing an active role in our children’s gratitude habits, we can ensure that they’re fully prepared to greet every opportunity with a mindset of joy, abundance, and appreciation.